With Amazon Pinpoint, you pay only for what you use. There are no contract negotiations and no minimum charges. The following table includes information about the charges associated with sending messages through Amazon Pinpoint. For more information about these charges, see the Pricing Details section. Target 5,000 endpoints, send 1 million push notifications, and track 100 million events for free each month with Amazon Pinpoint. You pay $1.00 per 10,000 emails. $0 for the first 5,000 endpoints in your monthly targeted audience (MTA), and $1.20 per 1,000 endpoints after that. You pay $0 for the first million notifications, and $1.00 per million notifications after that. $0 for the first million notifications, and $1.00 per million notifications after that. $0 for the first 5,000 endpoints in your MTA, and $1.20 per 1,000 endpoints after that. You pay for each message you send. The price you pay for each message varies based on the country or region where the recipient is located. See the SMS pricing tool in the next section for more information. A per-message price that varies based on the destination country or region. See the SMS pricing tool in the next section for more information. You pay for each message you send. The price you pay is based on the length of each message that you deliver, the type of phone number, and on the recipient's country or region. You must also lease at least one dedicated long code to get started. For more information, see Amazon Pinpoint voice message pricing and Amazon Pinpoint dedicated long code pricing. Not applicable—you can't currently send campaign-based messages that use the voice channel. If you use the AWS Mobile SDK to collect application usage data, you’re also charged based on the number of events you collect each month. For more information, see Events Collected. An endpoint is a messaging destination for an individual customer, such as an email address, mobile phone number, or device identifier. $0 for the first 5,000 endpoints that you target each month. $0.0012 per endpoint after that, for up to 10,000,000 endpoints. Direct messages aren't counted toward your MTA limits. If your MTA contains more than 10,000,000 endpoints, contact aws-mobilemessaging-custom-pricing@amazon.com to discuss custom pricing. 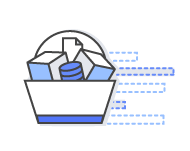 If you use the AWS Mobile SDK to collect application usage data, you're charged for the number of application events that you collect each month. Application events include campaign events (like following a link in a push notification) and events recorded from regular usage of the mobile app (like opening the app). If you collect application events, you pay $0 for the first 100,000,000 events that you collect each month, and $0.000001 per event you collect after that. You pay $0.0001 for each email that you send. If you send more than 250 million email messages per month, contact aws-mobilemessaging-custom-pricing@amazon.com to discuss custom pricing. You pay $0 for the first 1,000,000 push notifications that you send each month, and $0.000001 for each push notification that you send after that. The price for sending SMS messages varies between countries and regions, and in some cases, between carriers in the same country or region. These prices change regularly. Use the following pricing tool to see the prices for sending and receiving messages for each carrier in a country or region. If you send more than 3 million SMS messages per month, contact aws-mobilemessaging-custom-pricing@amazon.com to discuss custom pricing. The price for sending voice messages varies between countries and regions, and in some cases, between carriers in the same country or region. These prices change regularly. In order to send voice messages using Amazon Pinpoint, you have to obtain at least one dedicated long code. A long code is a standard telephone number that your message is sent from. You can lease local phone numbers in a variety of countries directly through Amazon Pinpoint. By using dedicated long codes, you can establish a consistent experience for your brand, and ensure that your phone numbers are only used to deliver high-quality content. You can also use Amazon Pinpoint to send SMS messages through these dedicated phone numbers in certain countries and regions. See Amazon Pinpoint voice pricing to view a list of per-minute rates in each country or region and see Amazon Pinpoint dedicated long code pricing for the per-month price for dedicated long codes per country or region. If you send more than 1 million voice minutes per month, contact aws-mobilemessaging-custom-pricing@amazon.com to discuss custom pricing. You can lease dedicated IP addresses for sending email through Amazon Pinpoint. These IP addresses are reserved for your exclusive use. You pay $24.95 per month for each dedicated IP address that you lease. If you lease a dedicated IP address in the middle of a month, we adjust the price for the first month based on the number of days remaining in the month. If you decide that you no longer want to lease a dedicated IP address, we adjust the fee that you pay for the final month based on the number of days that have already elapsed in the current billing cycle. Short codes are short number sequences (between 3 and 8 digits, depending on the country or region that the code is based in) for sending and receiving text messages. Short codes are easier to type and memorize than traditional phone numbers. You can purchase short codes for several different countries and regions directly through AWS. For short codes that are based in the United States, there’s a one-time setup fee of $650 (USD) for each short code, plus a recurring charge of $995 per month for each short code. In the US, it usually takes 8–12 weeks for short codes to be ready for use on all carrier networks. Short codes might be ready for use on some carrier networks before they’re ready on others. 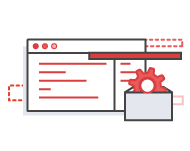 To request a new short code, or to obtain information about obtaining a short code in other countries and regions, create a case in the AWS Support Center. Note: When you create a short code request case, we send you information about the one-time and recurring charges for obtaining the short code in the countries or regions that you request. If you accept these charges, the fees associated with using short codes begin immediately. You're responsible for paying these charges, even if the short codes that you requested haven't been completely provisioned yet. You can use Phone Number Validate to improve the delivery rates of the SMS messages you send through Amazon Pinpoint. Phone Number Validate corrects errors that often occur when your customers enter their phone numbers on web-based forms. Phone Number Validate also provides important information about your customers’ phone numbers. For example, it can tell you if a phone number is a landline, a VoIP number, or a mobile number. You can use this information to make sure that you send messages using the right channel, either voice or SMS, for each customer. You pay $0.006 for each Phone Number Validate request. The Amazon Pinpoint Deliverability Dashboard helps you understand and remediate issues that could impact the delivery of your emails, such as poor IP reputation, suboptimal email content, and attempting to email users who have unsubscribed or bounced in the past. The Deliverability Dashboard is available for a fixed price of USD $1,250 per month. This charge includes reputation monitoring for up to five domains and 25 predictive email placement tests. You can monitor domains beyond the first five for an additional $25 per domain per month. Domain monitoring within the Deliverability Dashboard shows you your inbox placement rate, which is the percentage of emails that reach your users’ inboxes, and engagement rates for your domains across several major email providers. This information helps you quickly identify issues that could prevent your emails from reaching your customers. The monthly charge also includes 25 predictive email placement tests. Beyond the included 25 tests, you can perform tests for an additional $10 per test. Predictive placement tests let you specify an email message and send it to real inboxes on dozens of major email services. They also show you how many of your messages arrived in recipients' inboxes, how many were marked as spam, and how many were not delivered at all. Your application has an installed base of 100,000 users. Of those 100,000 users, 25,000 are active at the end of a calendar month. To increase engagement in the next month, you plan to engage with 55,000 users, sending five push notification campaigns and one email campaign. Each user in each campaign will receive one push notification and one email. Your campaigns have the intended effect of increasing app engagement. As a result, you collect a total of 20,000,000 application usage and campaign events in a month. There are 55,000 endpoints in your monthly targeted audience. You pay nothing for the first 5,000 endpoints, and $0.0012 per endpoint after that. You collect 20,000,000 events. You pay nothing for the first 100,000,000 events each month. You send 275,000 push notifications. You pay nothing for the first 1,000,000 push notifications each month. You also send 55,000 emails. You pay $0.0001 for each email sent. The total amount you pay in this example is the sum of your MTA charges, your events collected charges, and your messages sent charges. Your application has an installed base of 1,000,000 users. Of those 1,000,000 users, 300,000 are active at the end of the month. To increase app engagement next month, you plan to engage with 250,000 users by sending five push notification campaigns and one email campaign. Each user in each campaign will receive two push notifications and one email. You campaigns have the intended effect of increasing engagement with your app. As a result of this increase, you collect a total of 250,000,000 usage and campaign events in a month. There are 250,000 endpoints in your MTA. You pay nothing for the first 5,000 endpoints, and $0.0012 per endpoint after that. You collect 250,000,000 events. You pay nothing for the first 100,000,000 events each month, and $0.000001 per event after that. You send 2,500,000 push notifications (250,000 endpoints, times 5 campaigns, times 2 push notifications). You pay nothing for the first 1,000,000 push notifications each month, and $0.000001 for each push notification that you send after that. You also send 250,000 emails. You pay $0.0001 for each email sent.